This is a fast recipe to make which is great on busy days, and it tastes lovely, my kids absolutely love it. 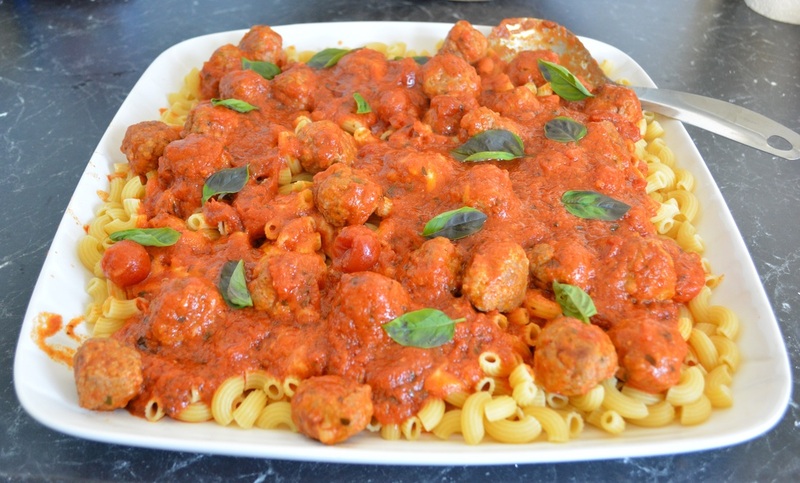 Now I use Sacla Cherry Tomato and Basil pasta sauce as that is the one I love, but you can use your own favourite pasta sauce. I also added an onion, as I feel it adds a little extra flavour to your meatballs, but if your kids don't like onions, don't add it. I fry and bake these in my Chasseur casserole dish, I love it, and it is perfect for recipes that go from stove top to oven. 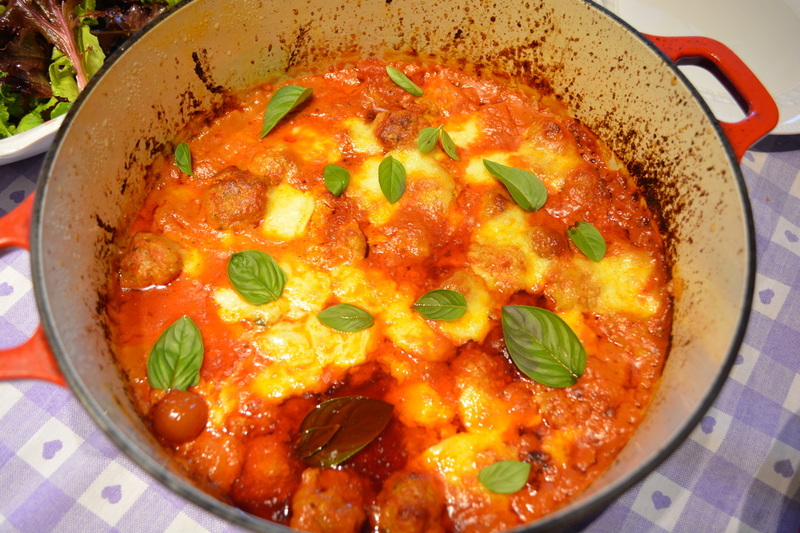 You can use baby bocconcini instead of large bocconcini, and you don't need to tear the baby ones, throw them in whole. A little oil does float to the surface once the meatballs are baked, remove excess oil with a tablespoon before serving if you like. 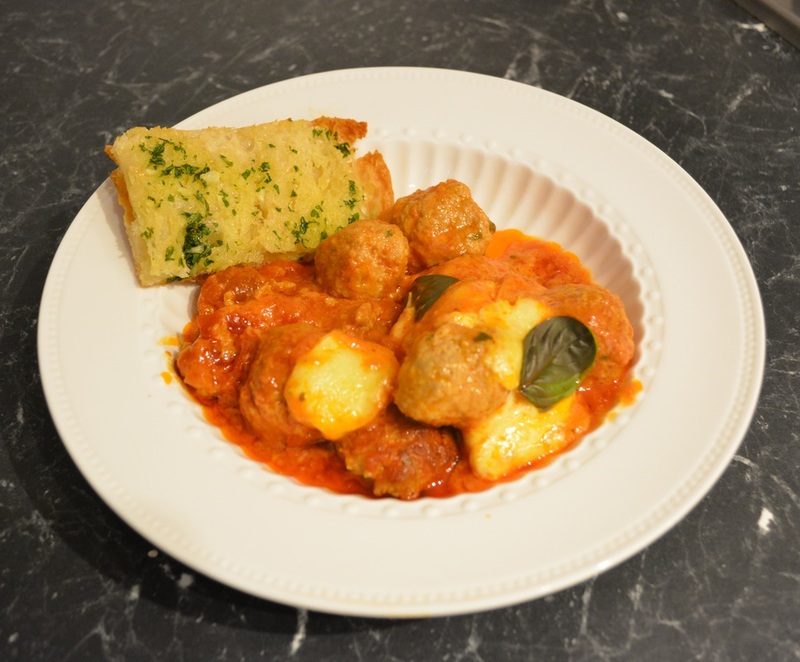 So if you are looking for a quick midweek dinner idea, this is perfect for those days. In a small frying pan add 1/2 a tablespoon of the oil. Add diced onion and sauté for about 5 minutes until onions are soft. Set aside to cool in a bowl for 10 minutes. Place mince, breadcrumbs, cooled onion, egg, parmesan, oregano, vegeta and basil in a large bowl. Season with salt and pepper. Mix well to combine. 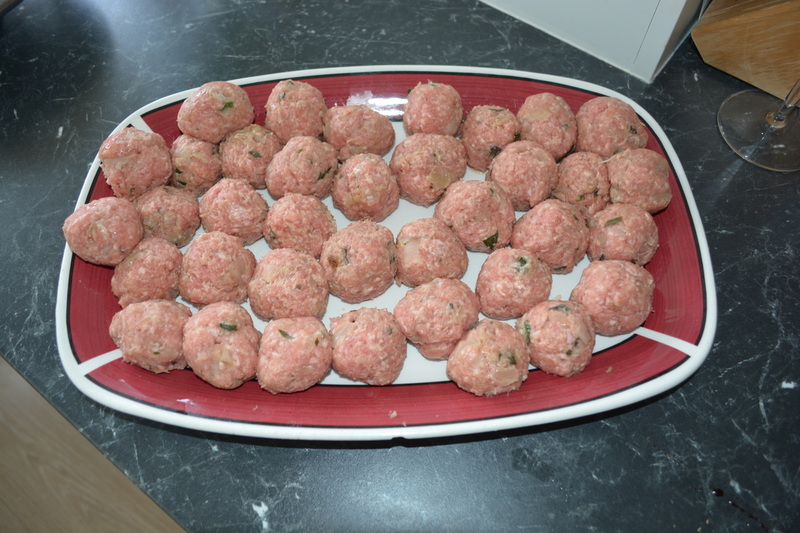 Shape mixture into 20 large or 30 small meatballs. Heat oil in a large round flameproof baking dish. Add meatballs. Cook, turning, for 5 minutes or until browned all over. Add pasta sauce. Bring to the boil. Scatter over the bocconcini. Bake, uncovered, for 15 to 20 minutes or until meatballs are coked through. You can serve it straight from the baking dish or spoon into a serving bowl. 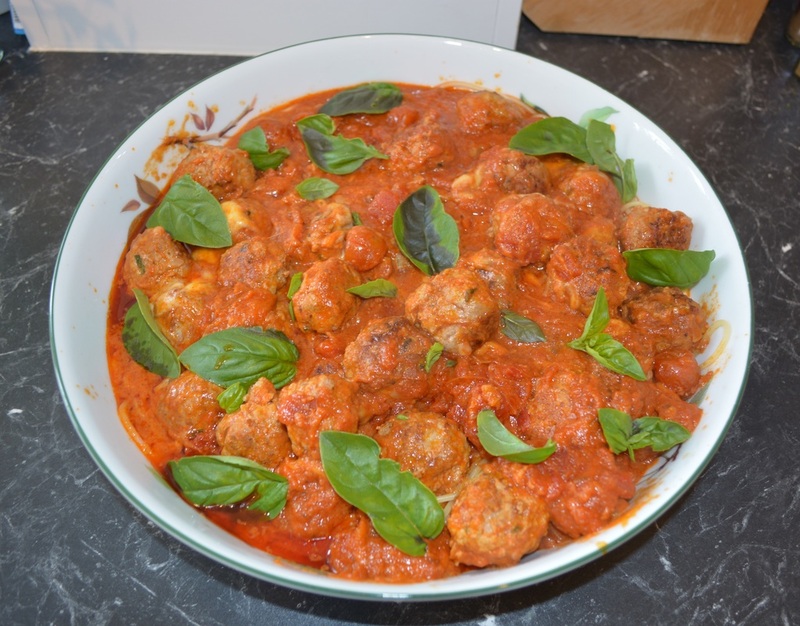 Top meatballs with extra basil leaves. Serve with pasta or garlic bread and a green salad.